French Prime Minister Manuel Valls urged the General Confederation of Labour to cease protests. MOSCOW (Sputnik) — French Prime Minister Manuel Valls called on Wednesday on the members of the General Confederation of Labour (CGT) to stop labor reforms protests in Paris. 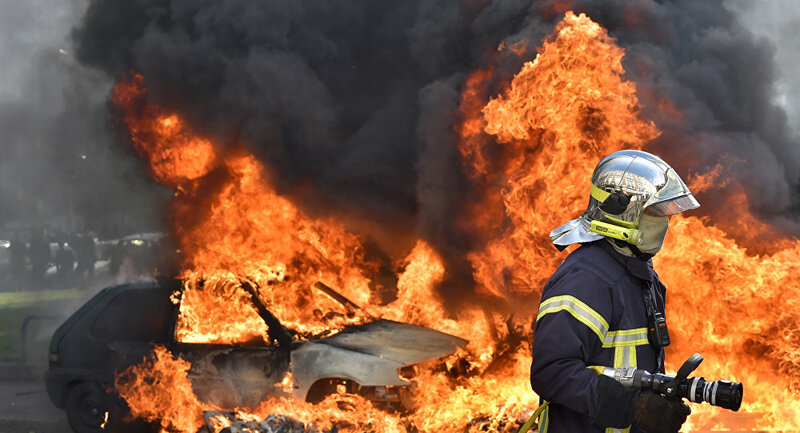 "I demand that CGT stop demonstrations of such sort in Paris," Valls said, as quoted by France Inter radio, adding that the reforms had been brought about as the result of a compromise with the unions. A total of 40 people, mostly police officers, were injured on Tuesday during clashes between protesters and police in Paris. 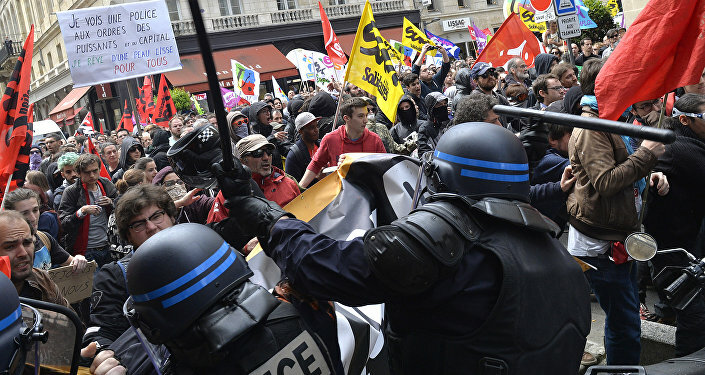 In recent months, France has been hit by nationwide protests and sporadic strikes over a controversial May 10 labor reform bill. Among the reforms proposed by the government are highly unpopular attempts to increase daily working hours and simplify firing procedures.